By Melissa Lennig on October 9, 2017 16 Comments. This content contains affiliate links. As an Amazon Associate I earn from qualifying purchases. 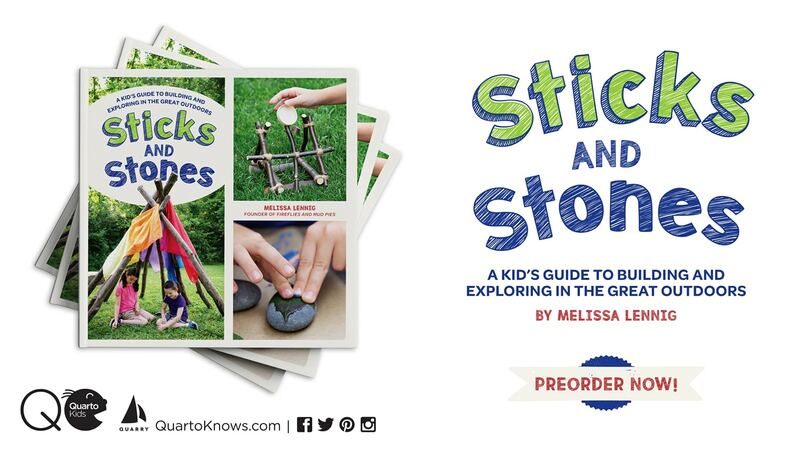 Inside: Just in time for Thanksgiving, learn how to use Gratitude Stones to cultivate a sense of gratitude in kids. A sense of gratitude, or feeling thankful and appreciative of the good things in one’s life, is an important social-emotional skill that can increase happiness and improve health. 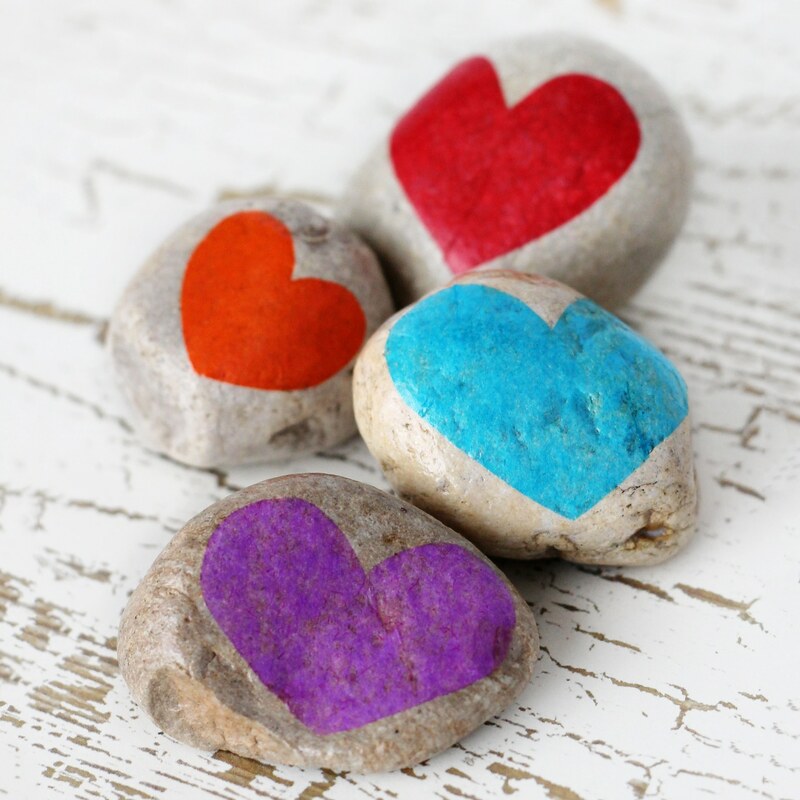 In this post, learn how to make a simple nature craft for kids, Gratitude Stones, that can be used to cultivate an attitude of gratitude from an early age. From infancy, children are taught to say thank you when a person does something kind for them or gives them a gift. As they grow, kids can be challenged to reflect on why they feel grateful for the kind act or gift. What an incredible description of the feeling that a sense of gratitude awards! Gratitude does make your heart feel happy, and that is why a single heart is used to embellish the craft shared below. 1. Cut out a small tissue paper heart with scissors. 2. 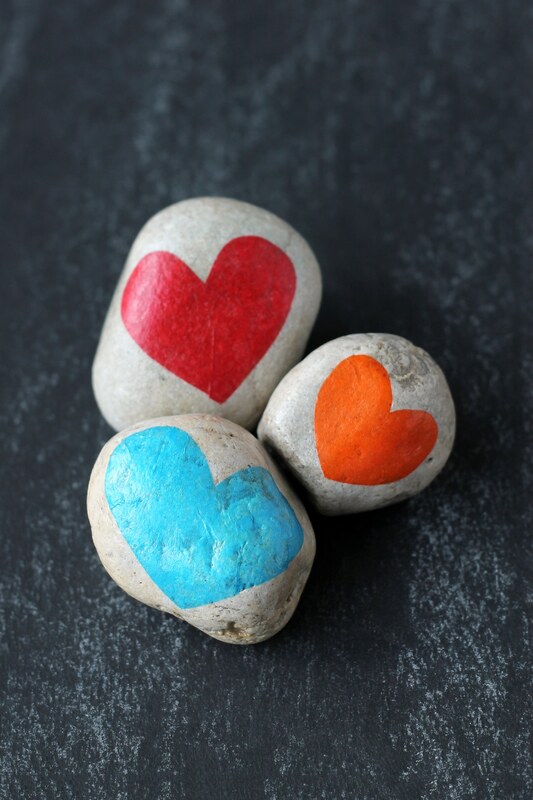 Place the heart on the surface of a clean stone. Using a paintbrush, lightly spread a thin layer of Mod Podge over the tissue paper and top half of the rock. Allow this layer to dry undisturbed. 3. Flip the rock over and spread Mod Podge over the bottom half. Allow this layer to dry undisturbed. When the rocks are dry, notice how seamless and smooth they feel! The thin tissue paper conforms to every nook and cranny within the rock so that it almost seems a natural part of it! Thinking and talking about the good things in our life can calm down angry or sad feelings and build resiliency. Teach your child how to hold the stone in their hands and list everything they feel thankful for. An attitude of gratitude is contagious! 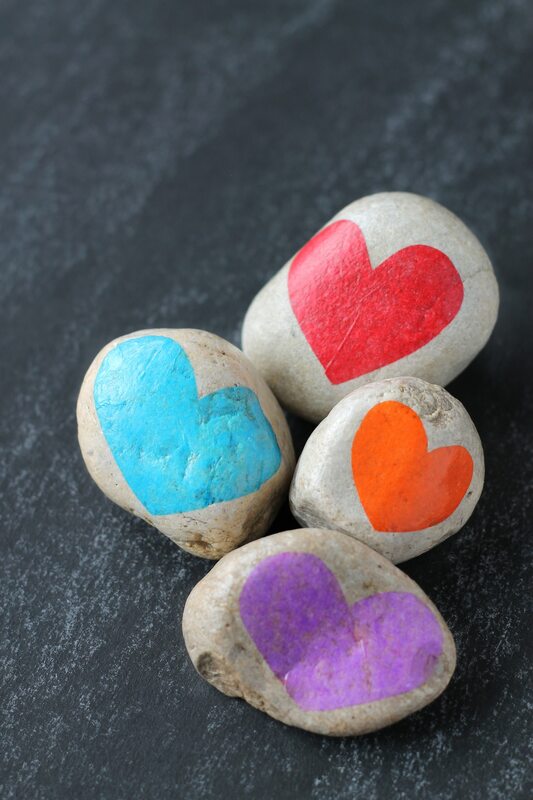 Scatter gratitude stones around your community and neighborhood to spread joy to others. 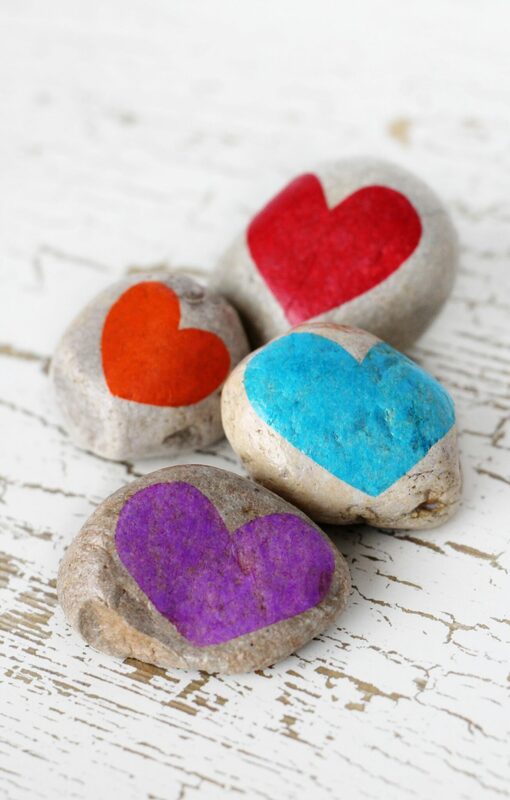 Finding tiny hearts on stones is sure to bring a smile to other people’s faces! Spreading joy and expressing gratitude makes everyone’s day brighter. How do you teach your children about gratitude? I am a grade 2/3 teacher. 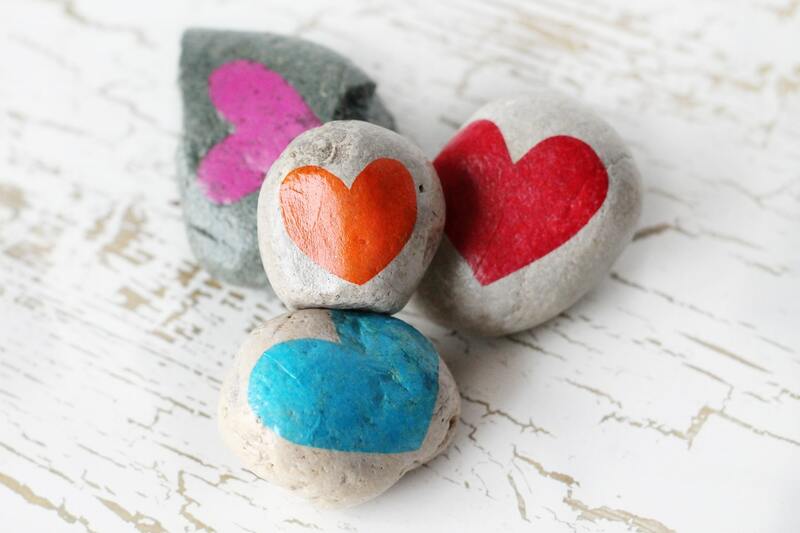 I am going to use this idea and attach a note so students can give the stone and note to a family member. Thank you!! That sounds lovely! Thank you so much for sharing! Thank you for this wonderful craft! I plan on using them with my Sunday School classes for our “Say Thank You: Family” lesson during November. I also want to make some larger ones to place along the mountain canyon road where we live. If the girls use a thin coat you should be okay!